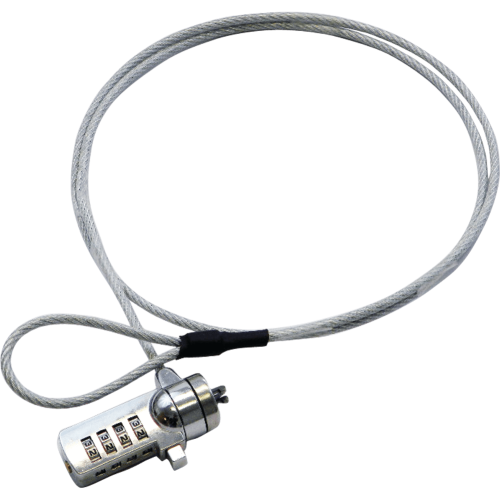 The security lock and cable enables users to secure their equipment in place. Simple to use, the combination lock can be set to a memorable number. Easy-to-use with one hand the lock is designed to be tamper resistant. With a loop on the other end, it can be anchored to a desk, table or any fixed structure.